"Liszt has shown me that it is possible to do impossible things"
Sylvain Blassel is a man completely obsessed with the harp. As well as playing anything and everything that can be arranged for the instrument, the Conservatoire de Lyon graduate spends his spare time actually restoring old harps. 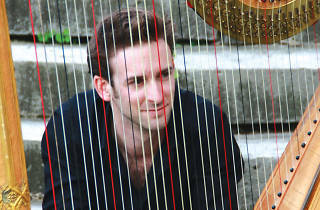 Playing in Hong Kong for the first time, courtesy of the Hong Kong Harp Centre, Blassel is honing in on the height of the romantic period with an all-Liszt programme, including works such as the Consolations, Hungarian Rhapsody No 2 and La Campanella, looking to showcase fully the legendary Hungarian composer’s poetic scope. How did you discover the harp and what keeps you continually inspired to play it? I discovered the harp when I was two or three-years-old. My parents brought me with them to a pan flute and harp concert, though I slept through it all. But at the end of the concert my parents bought a tape that I listened to obsessively afterwards. I think that I could still recognise the specific music, even though I haven’t heard it for more than 30 years! The only thing I know is that I’ve never thought of doing something else ever since. 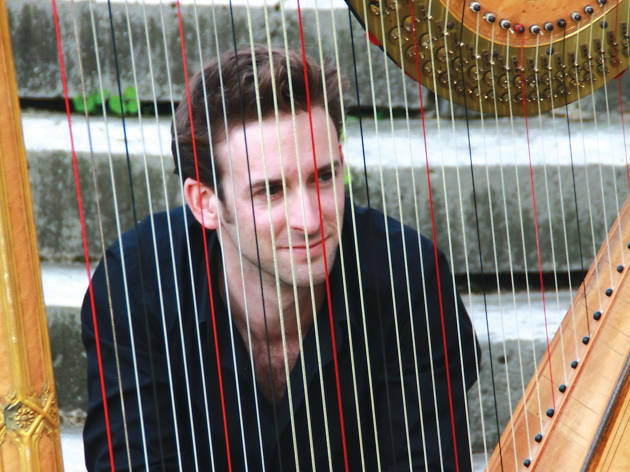 I was first inspired by harpists themselves, namely, my teachers. Extraordinary musicians such as [Claudio] Abbado, [Pierre] Boulez, [Daniel] Barenboim, [Alfred] Brendel, Maria João Pires and others. What convinced you this was what you wanted to do for the rest of your life? Actually, I’ve always known that I would be a harpist. What has been the real turning point in my career is probably my recording of the Goldberg Variations from JS Bach in 2009, a world premiere. It had never been played on a harp – that I know of – and it is a very difficult piece for the fingers but also for the head. We, as harpists, are not used to working on such important masterpieces, and I have to say that to work on those Variations helped me progress enormously. You play many classical pieces originally arranged for different instruments, like the piano. How do you manage that? Actually, the piano is much easier than the harp! Whether a piece is for the piano or for the harp, the music is written almost the same way. But, of course, there are technical specificities for each piece. For example, it’s not just Liszt’s music that is important for me, it’s mainly his approach. He was working like crazy to transcend his technique in order to be able to play things impossible to do up until then. Thanks to him, many pianists can play difficult things because he has acted as an example. The aim isn’t to get applause, but to completely master your instrument. Liszt has been an example for me. He has shown to me that it is possible to do impossible things. Can you tell us about the programme you’re be playing? The concert is a Franz Liszt concert only. All the pieces are very diverse but all are different faces of one amazing composer. He is also extremely generous. For example, do you realise that half of Liszt’s compositions for the piano are transcriptions of pieces of other composers? And he is the only composer that I know who has written an entire book on a composer of his time, Chopin. You can feel how Liszt is generous and sincere in every note and it is precisely this generosity that I want to share with the audience. This is your Hong Kong debut. What are you looking forward to when visiting the city? I’m looking forward to discovering the poetic universe of Hong Kong. I’m a huge fan of Wong Kar-wai's films, from Chungking Express to In the Mood for Love and Happy Together! Of course, like every tourist, I’m looking forward to enjoying the food and the atmosphere, but the most important aspect is the poetic universe of the city – the people, their traditional music and especially children’s music, because those songs can be different and reveal a lot about the poetic universe of every region.